A Yerushalayim court on Wednesday extended the remand of two Arabs who were arrested Tuesday for deliberately starting a fire in the Einot Tzukim Nature Reserve, also known as Ein Feksha. The hearing for a third Arab involved in the arson will be held Thursday. The nature reserve, located near the Dead Sea and popular with both Israelis and Palestinian Authority Arabs, was set afire Tuesday morning, with some 500 dunams destroyed before the flames could be doused. The fire caused heavy damage to the unique vegetation that grows in the area, officials said, besides damaging infrastructure in one of the most popular tourist attractions in the country. Police said that the fire was set about 2:00 a.m. Tuesday, but firefighters could not work to put it out until daylight, giving the fire several hours to rage undisturbed. Police said they caught the arsonists, three Arabs from Yerushalayim, fleeing the scene. Police tried to flag down the vehicle as it drove along Road 90, but instead of stopping the Arabs sped up and tried to flee. Police stopped them after a short chase, and discovered materials used in setting the fire found in their vehicle. 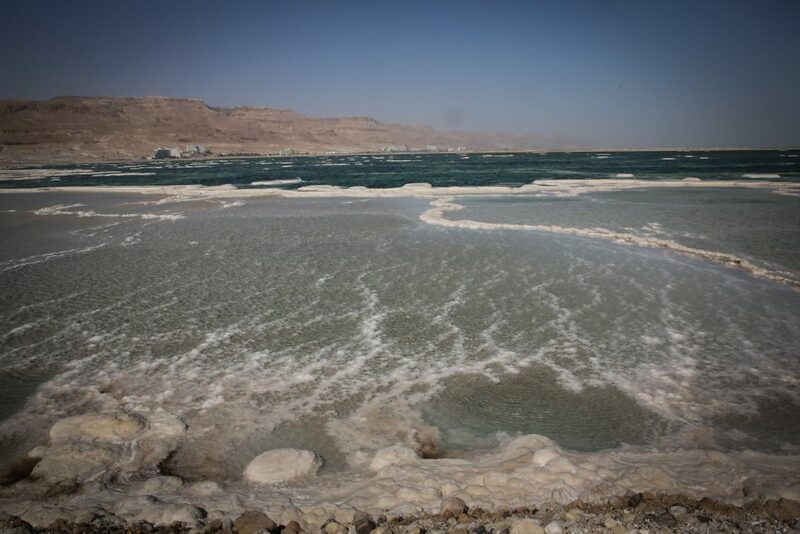 Ein Feksha is located on the northwest corner of the Dead Sea, and is the lowest nature reserve in the world. It is noted for its unique flora and fauna, and was part of a ring of Jewish settlement in the area during the Bayis Sheni period, based on archaeological excavations of a village at the site.